I can just about remember the White Rose Shopping Centre opening when I was a kid, and although I didn’t know what a big deal it was at the time, I do remember being excited about trips to a new indoor shopping centre. Since then, I’ve gone through phases of frequenting the White Rose. Shopping trips with my mum when I was young were fun, often buying a dodgy slogan top from Tammy Girl (remember Tammy Girl??). Then I got a little bit older and it was much cooler to actually go into the City Centre with friends, and hang out with the goths at the Corn Exchange, and walk up and down Briggate. I always returned to the White Rose when I actually had stuff I needed to get (particularly at Christmas), when it wasn’t just about getting out of the house, and was always surprised at how much I could buy under one roof. Having friends who worked in various stores within the Centre made it more fun too. Now I live so close to the White Rose, I’m there all the time. (Living close to a shopping centre is not good for my purse’s health!) Sainsbury’s is handy and I actually buy most of my clothes there now as they do a pretty decent long range – who knew! I also think the Oasis and Dorothy Perkins here are nicer than the ones in Trinity. Fans of River Island will be pleased to know that they’ve moved to a bigger unit now opposite their old one, and the Next here is really big too. There’s also a new Magical Wizard shop, down at the Debenhams end, where you can buy all sorts of Harry Potter merchandise and other sci-fi paraphernalia. The White Rose has had a major extension recently and is pretty ace now. 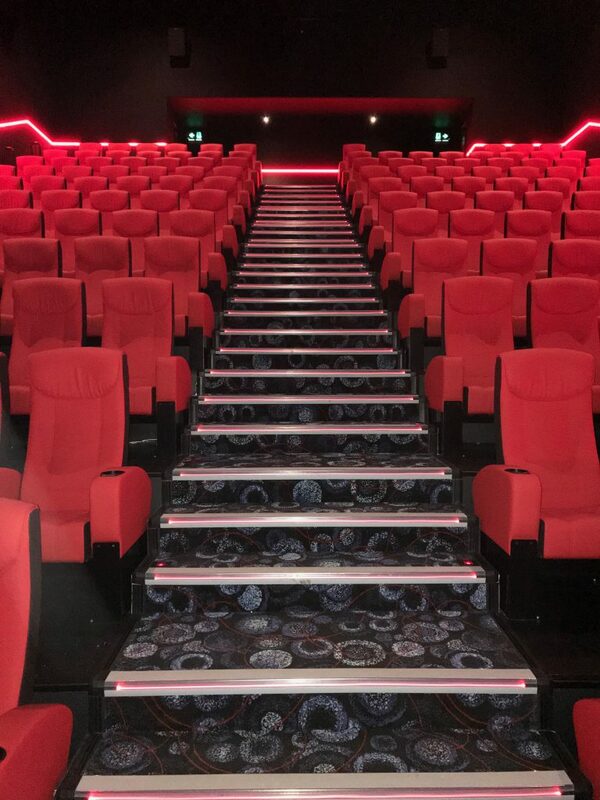 The Village, outside up on the top floor, is a brand new area with a Cineworld (including an IMAX screen) and restaurants with al fresco dining. Having a Wagamama nearby means my constant chicken katsu cravings are regularly satisfied. The Centre’s also just opened up a new play area outside for young children which will be handy for me once Baby gets bigger, and I’m really pleased to see that the whole area has been made a smoke free zone. 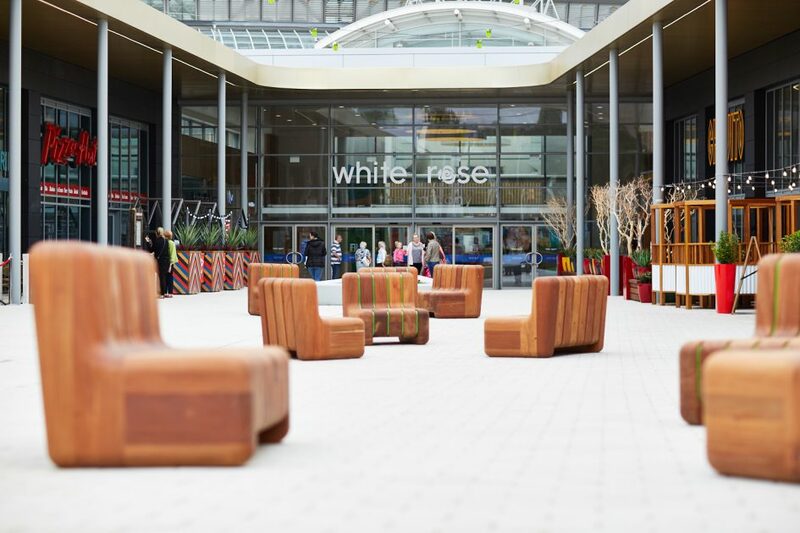 As a new mum, I’m always on the lookout for baby friendly places, and The White Rose Shopping Centre fits the bill. 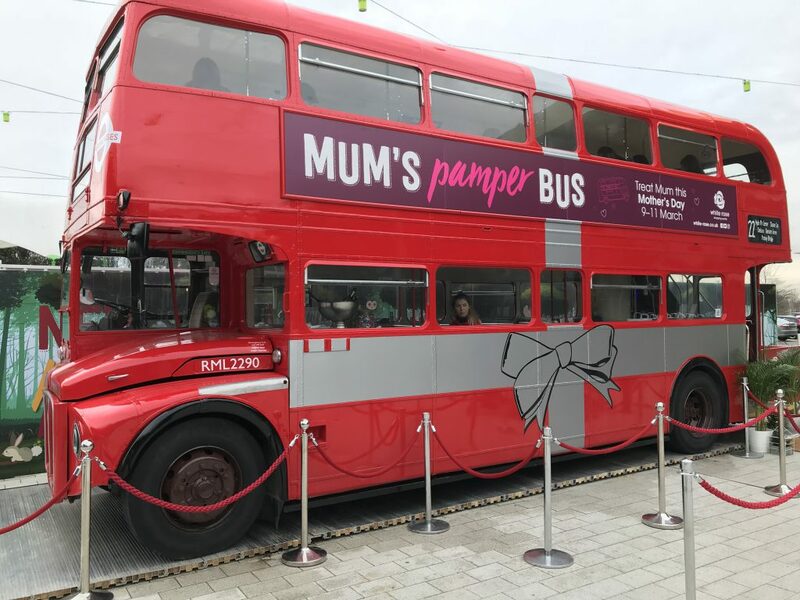 There are changing facilities and a breastfeeding area, plenty of coffee shops to catch up with other mum friends, and the length of the mall is just about right to rock a baby off to sleep in the pram! It’s under one roof so you can go whatever the weather, and there’s free parking as well as their own bus station. I’ve been to a couple of the Centre’s events this year (not something that would have appealed to me pre-motherhood, but now I’m all over daytime activities.) At the start of the New Year they had a penguin day to help beat the January blues. 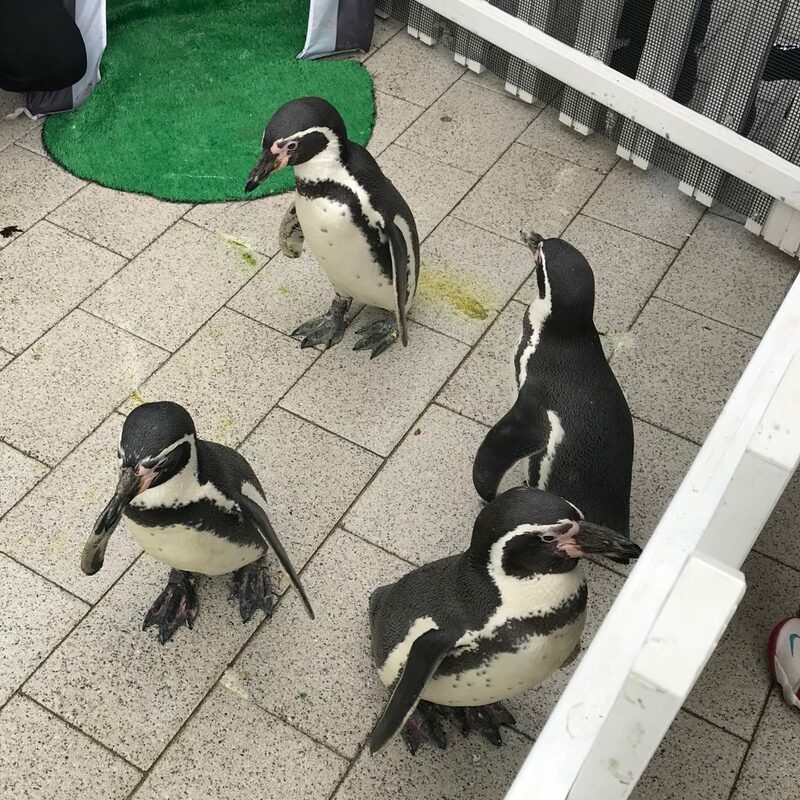 I very much enjoyed just randomly watching penguins at the local shopping centre! 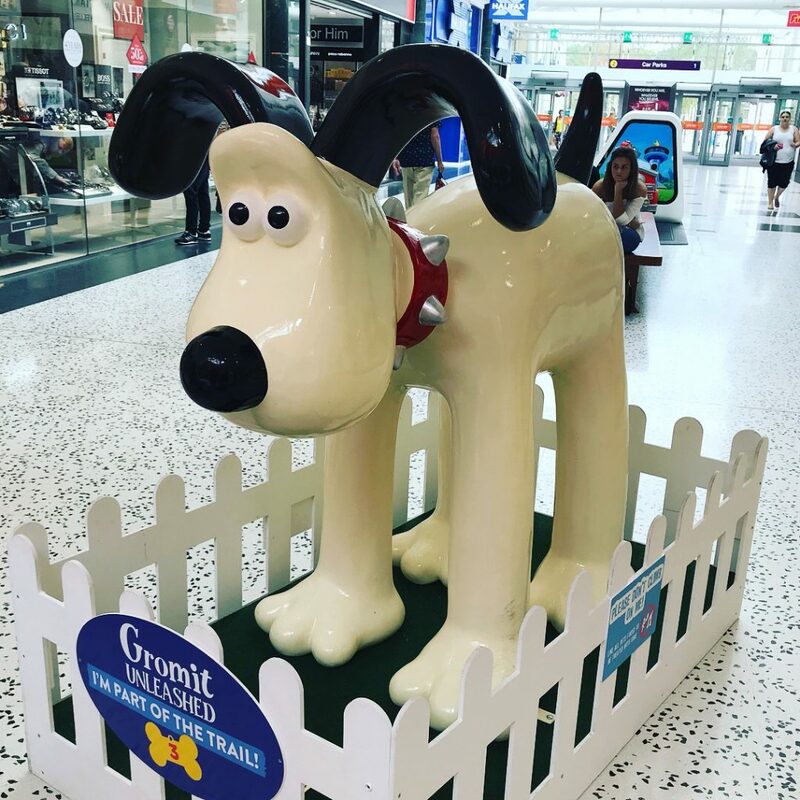 At the moment the Centre has a “Gromit Unleashed” trail throughout the mall, with ten cute Gromit sculptures dotted around. 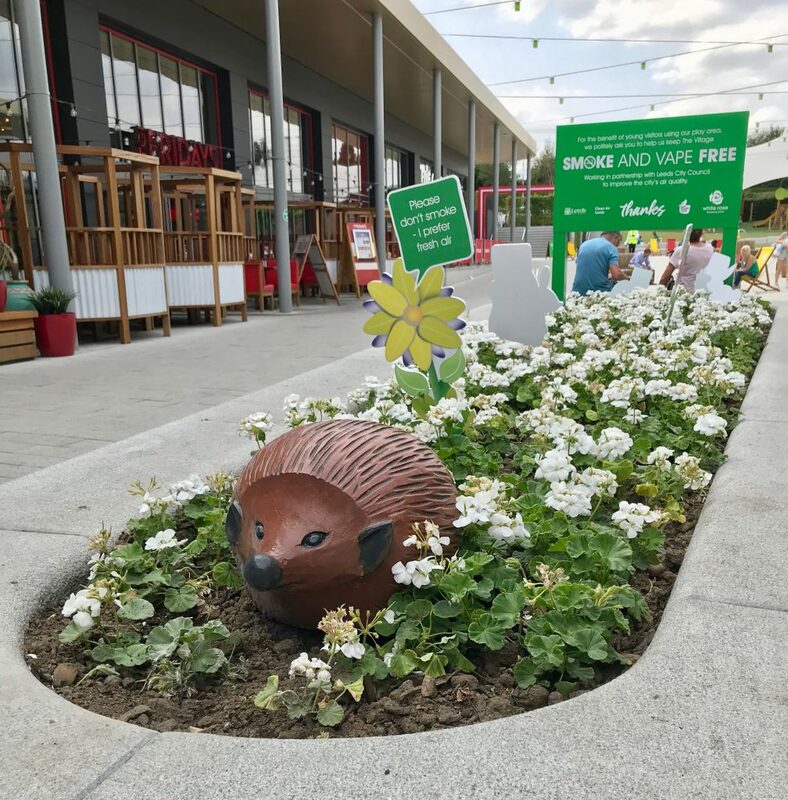 You can pick up a trail for £2 from Customer Services, with proceeds going to The Grand Appeal (the Wallace & Gromit charity raising money to support sick babies and children and their families in Bristol Children’s Hospital.) Perfect if you need to distract the kids whilst you’re shopping, if you’re a big Wallace and Gromit fan, or if you’re always on the lookout for an interesting Instagram shot. 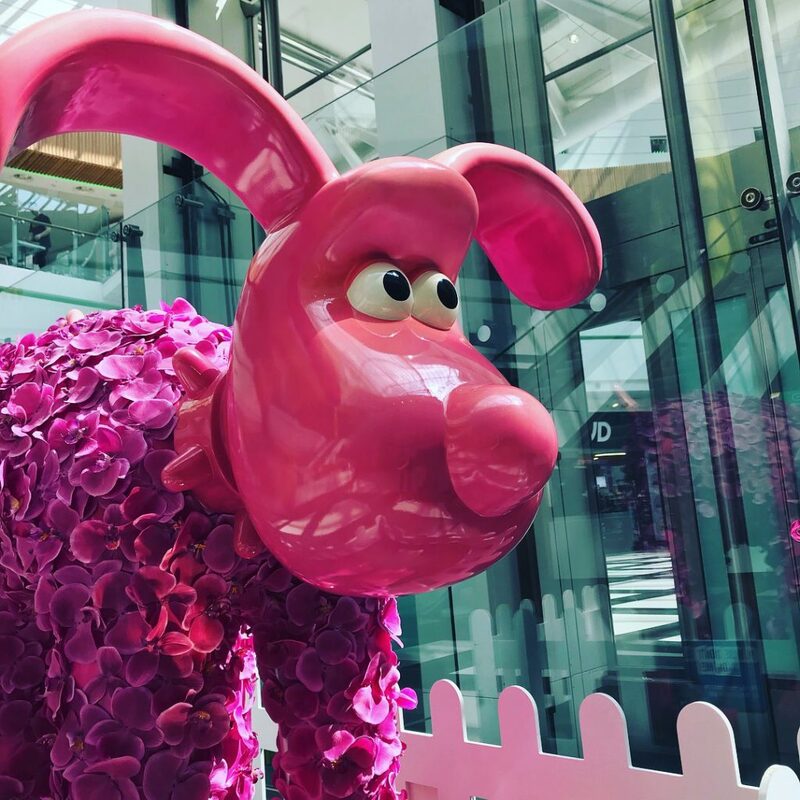 The Gromit Unleashed trail is on until 2 September.